Growing kids are always hungry for snack, right? We mom’s struggle to find healthy snacking options for kids. For me it’s always been a combination of fruits, yogurt, cheese sticks, sandwiches and our good old Indian Paratha. 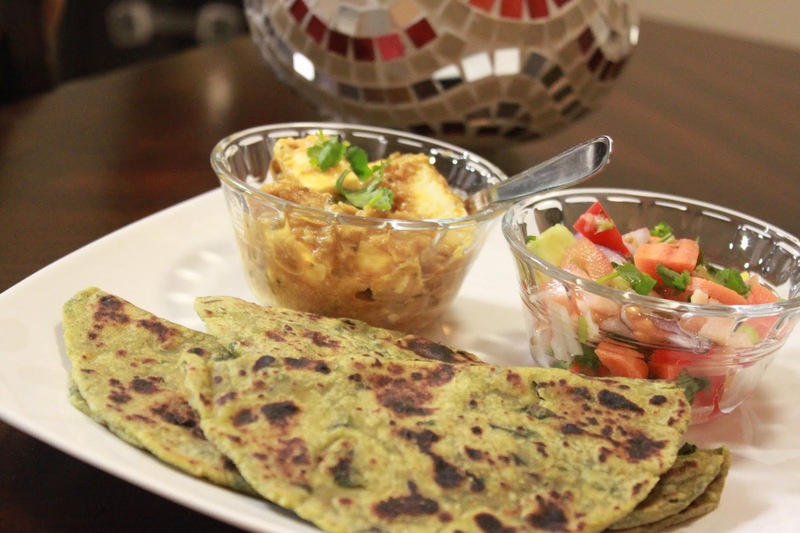 I would say paratha is my favorite, because I can sneak in many veggies, even the ones they don’t like 😉 also they are definitely healthy and filling. This one has been a hit with my girls. Mix the spinach and mint leaves, along with the spices in the flour, add mashed avocado and combine into a dough, add water as needed to form a medium firm dough (it tends to get a little soggy if you plan to use it later). Divide the dough in small balls, dust with dry flour, roll into disc shape and cook on a pan/tawa with ghee.